The opportunity to explore and develop your baby’s physical and cognitive skills in a fun environment at their own rate and development. Empowers your child with the skills and confidence to hang and swing, spin, balance, skip, climb, throw, crawl and jump. A structured programme – a solid foundation for all sports. A smaller supportive session for children who may have sensory or gross motor challenges or developmental delays. A Kindergym Australia Program Provider which encourages your child to develop physically, socially, emotionally and cognitively. It is a multi-movement program where children learn to move and move to learn. We use music to encourage cross patterning, stimulating the brain and an extensive variety of stimulating sensory equipment to challenge your child. We provide the foundations for a lifetime of positive attitudes towards physical activity and help to prepare your child for Kindergarten, School and sports. A movement based program for 0 – 5 year olds. Age 1 to 5 years. Age 3 to 4 years. 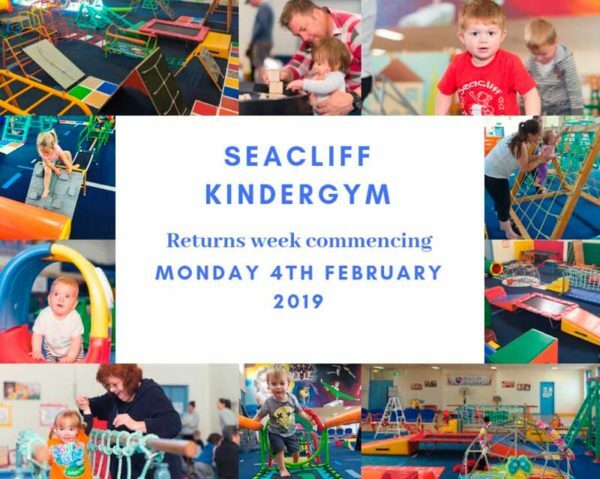 All the news from Seacliff KinderGym in one spot!